The old filter form was very basic, allowing only filtering for one employee and one project. 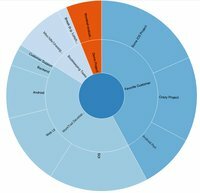 We very much improved on this to allow filtering for multiple projects, multiple tasks, excluding specific tasks from the query and selecting custom date ranges. You can select either each employee on their own, or select all. When clicking on the drop down you will receive a list of all employees of your company (If you are a manager). 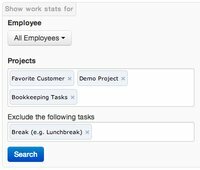 Below employees you can select projects and tasks to include in your query. If you select a project all work entries of all tasks of this project are included. You can additionally select more tasks in the 'Tasks' field - those will be selected in addition to all tasks of the selected projects in the Project filter. Earlier you could select to exclude "Unassigned and Break tasks". 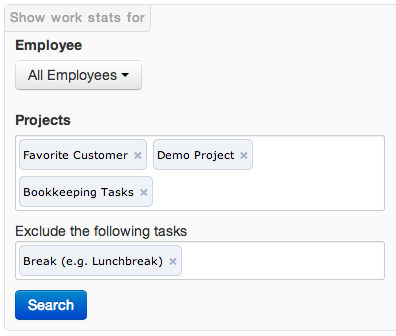 Now it is possible to exclude each single task individually. To make it as easy as before to the right of the Exclude field are two buttons which will add the Unassigned and Break task, respectively to the exclusion form. 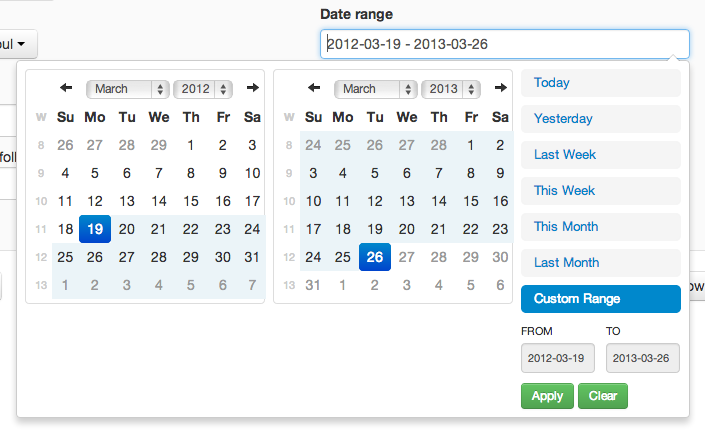 In addition to all task and employee filter you can now select a custom date range. When selecting "Custom Range" you can select the begin date in the left calendar, and the end date of the right calendar. 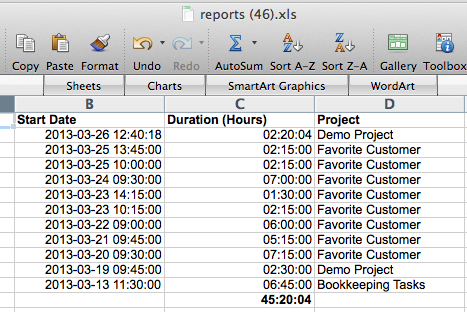 For most users Excel export is the easiest way to work with their collected work time. To make it even easier we improved formatting and already added sums to the download. Simply click the "Download for Microsoft Excel" button in the reports and try it out!